WHAT IS IT? WHY DID WE DO IT? We believe that the ability to persist is an essential skill for students. We set up a scenario for the third graders based on the Chilean mining accident from 2010. Chilean Miners: Trapped Underground. 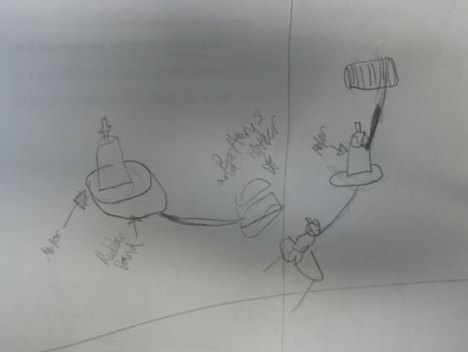 The children were ultimately tasked with designing an apparatus that would drop a rope down a shaft, collect a mini-miner, and bring the miner back to the surface. Silent, solo work to capture design ideas. 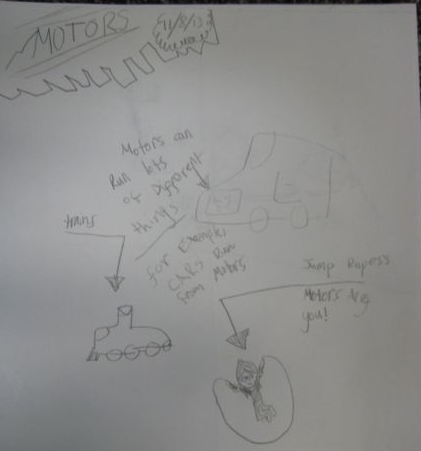 To begin, we asked the students to record their prior knowledge about motors. 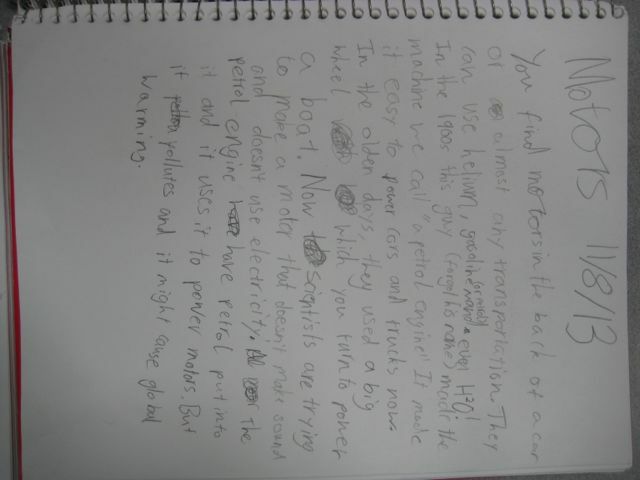 While their understanding and experience varied greatly, our intentional use of a science notebook is apparent. Every child was able to use pictures, words, or a combination of both to record their thinking. 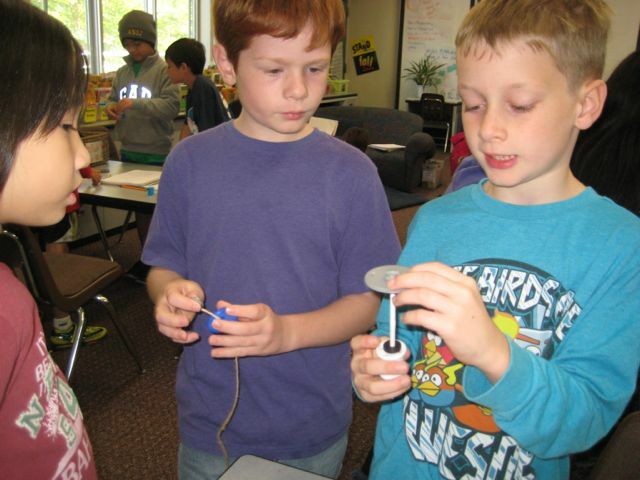 First, we asked them to work in partnerships to explore the basics of how a motor works. 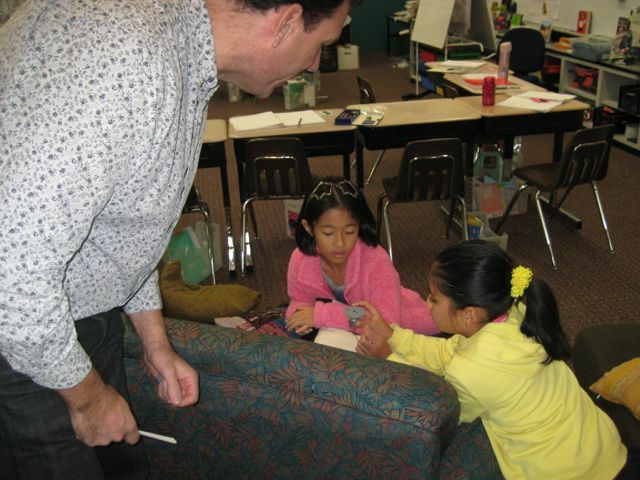 We noticed that the children quickly and easily got into partnerships. Working in teams a lot this year has allowed them to quickly find a group in which they can communicate, cooperate and collaborate. Next we gave them the challenge of using their motor to drag a piece of string across the ground. They had independent time to sketch ideas in their notebook for how a design might be built. We noticed that the children were able to quickly and easily capture their thinking with pictures. They also automatically made space for more than one idea indicating that they understand there may not be one "right" answer and that they are open to trying more than one design. 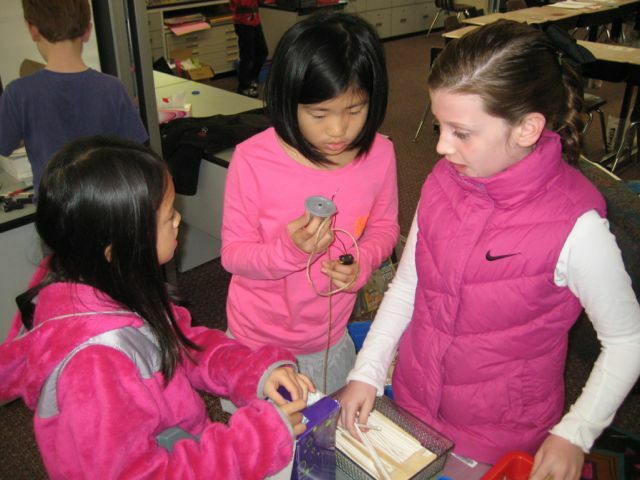 They then shared out their designs with their teams and decided on one to begin building The children were engaged in the process of both sharing their thinking and listening actively to each other. Many groups melded design ideas together after sharing their sketches. Finally, they began the build. 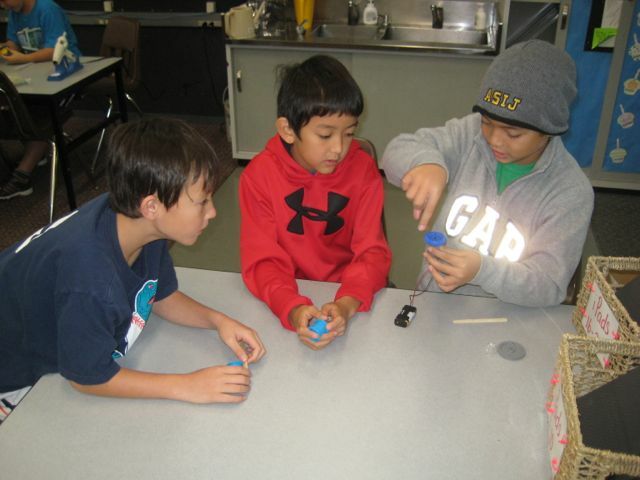 After building, they tested and made adjustments. 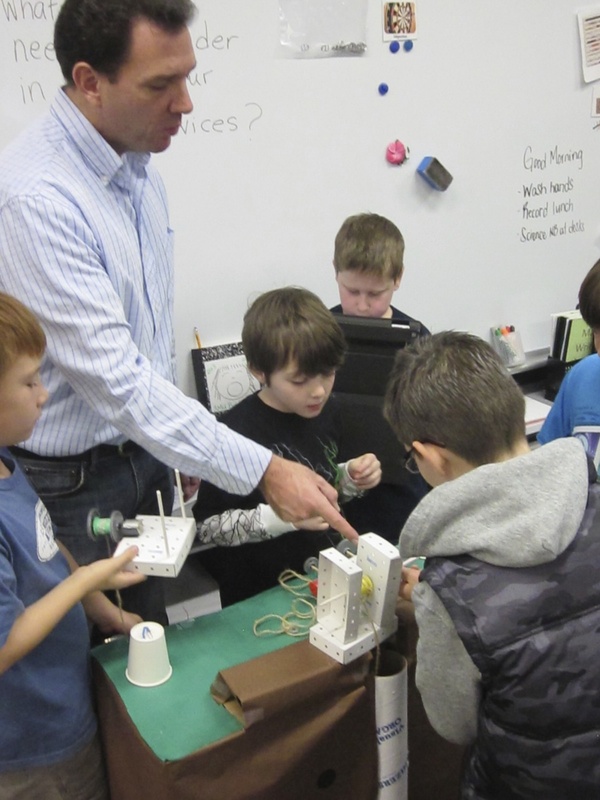 Finally, the students watched as we tested our prototypes. Ultimately, very few of the miners were rescued. The team work, adjusting, and persistence that the students displayed indicated that learning occured that we could build on.